This engrossing début novel depicts Sylvia Plath’s feverish artistic process in the bitter aftermath of her failed marriage to Ted Hughes—the few excruciating yet astoundingly productive weeks in which she wrote Ariel, her defining last collection of poems. Kate Moses was born in San Francisco in 1962 to a British father and an American mother and grew up in various parts of the United States before returning to California to attend college. She subsequently worked as an editor in publishing and as literary director at San Francisco’s Intersection for the Arts. In 1997 she became one of the two founding editors of Salon.com’s Mothers Who Think Web site, which led to the American Book Award—winning anthology Mothers Who Think, coedited with Camille Peri. She lives in San Francisco with her husband and their two children. 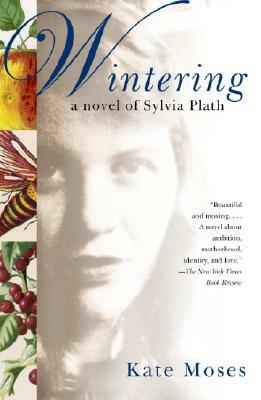 Wintering is her first novel.